I love talking about podcasts — the impact of listening to them daily and also of creating my own show — to anyone who cares to listen to my “speech” (or maybe sermon 🙂 ). 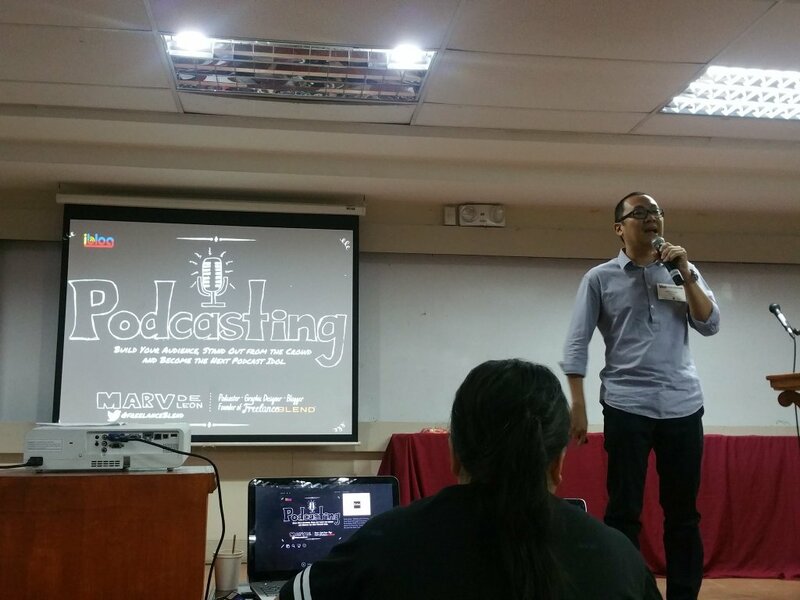 And I was glad to get invited to #iblog11 or the 11th Philippine Blogging Summit that was held last December 4 and 5, 2015 at the Bocobo Hall of U.P Diliman campus to talk about it to a larger audience of online content creators. Marv de Leon at #iblog11. Photo from Jane Uymatiao. The invite came no less from the Mother of E-commerce here in the Philippines, Janette Toral, a previous guest of the show (listen to our interview here). This blog post by Hitokirihoshi (I hope I didn’t misspell), really made me happy and fulfilled today, because that is my goal for this talk — to inspire at least 1 person to try out podcasting. In fact, another person reached out to me via Twitter. He will introduce me to this online personality (hush, hush for now) who I will meet with next week to discuss how she can build her podcast show. 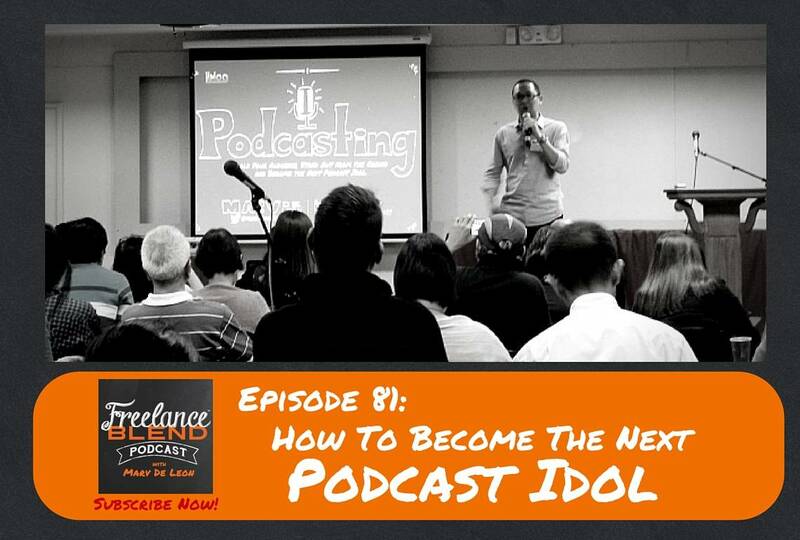 So that’s why in this episode, I am sharing with you my talk at the iBlog11 so that you too can be inspired to either: listen and fall in love with podcasts or produce your own podcast. Enjoy! Join Marv’s new program — Group Coaching Program at www.freelanceblend.com/gcpbeta. Special discount ends on Saturday, December 12, 2015. Bringing a friend to the Group Coaching Program? Email me at marv@freelanceblend.com to inquire about an additional special discount. Thanks to Hitokirihoshi Laurence and Jane Uymatiao for the photos in this blog post. Are you still struggling with your freelance business? Is your mind cluttered with business ideas and you don’t know which one to focus on? Would you like to become part of a group of like-minded individuals who want to succeed in their own solo businesses? Do you want to have an accountability partner – someone who will be by your side and push you into reaching your full freelancer potential? If you are interested to join me, then go to www.freelanceblend.com/gcpbeta to register. Hurry! Special discount ends on Saturday, December 12, 2015 and slots are limited.